Discovery Channel Polska switched to DVB-S2 at 12188.00MHz, pol.V SR:27500 FEC:3/4 PID:341/342 Polish. NC+: New frequency for Discovery Channel Polska: 10719.25MHz, pol.V (DVB-S SR:27500 FEC:5/6 SID:4416 PID:175/140 Polish,141 English- Conax). New frequency for Discovery Channel Polska: 12360.00MHz, pol.V (DVB-S2 SR:27500 FEC:5/6 SID:1200 PID:1200[MPEG-4]/1201 Polish,1202 English- PowerVu). NC+ & Orange Polska: Discovery Channel Polska is now encrypted in Conax & Mediaguard 3 & Nagravision 3 & Viaccess 3.0 (10796.00MHz, pol.V SR:27500 FEC:5/6 SID:15716 PID:175/142 Polish,143 English). 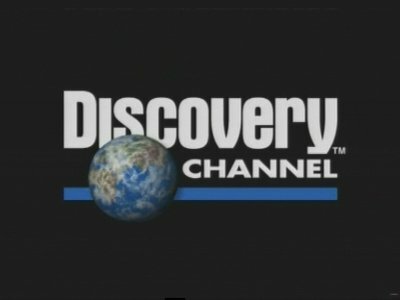 NC+ & Orange Polska: Discovery Channel Polska (Poland) is now transmitted Free To Air (10796.00MHz, pol.V SR:27500 FEC:5/6 SID:15716 PID:175/142 Polish,143 English). Cyfra + & N & Orange Polska: New frequency for Discovery Channel Polska: 10796.00MHz, pol.V (DVB-S SR:27500 FEC:5/6 SID:15716 PID:175/142 Polish,143 English- Conax & Mediaguard 3 & Nagravision 3 & Viaccess 3.0). N & Orange Polska & Telewizja na kartę : Discovery Channel Polska is now encrypted in Conax & Viaccess 3.0 (11508.00MHz, pol.V SR:27500 FEC:5/6 SID:15802 PID:513/660 Polish). Orange Polska: Discovery Channel Polska (Poland) broadcasts in DVB-S2 Viaccess 3.0 on 12476.00MHz, pol.H SR:27500 FEC:3/4 SID:10606 PID:4106[MPEG-4]/4206 Polish,4306 English. Cyfra + & Cyfrowy Polsat: New FEC for Discovery Channel Polska on 12188.00MHz, pol.V: FEC:5/6 ( SR:27500 SID:7315 PID:341/342 Polish - Mediaguard 3 & Nagravision 3). N & Telewizja na kartę : New FEC for Discovery Channel Polska on 11508.00MHz, pol.V: FEC:5/6 ( SR:27500 SID:15802 PID:513/660 Polish - Conax). Orange Polska: Discovery Channel Polska is back on 12476.00MHz, pol.H SR:27500 FEC:3/4 SID:10606 after a break ( PID:4106[MPEG-4]/4206 Polish,4306 English - Viaccess 3.0). Orange Polska: A new channel has started in DVB-S2 Viaccess 3.0: Discovery Channel Polska (Poland) on 12476.00MHz, pol.H SR:27500 FEC:3/4 SID:10606 PID:4106[MPEG-4]/4206 Polish. N: New FEC for Discovery Channel Polska on 10834.00MHz, pol.V: FEC:3/4 ( SR:27500 SID:3505 PID:516[MPEG-4]/616 Polish - Conax). N: New frequency for Discovery Channel Polska: 11508.00MHz, pol.V (DVB-S SR:27500 FEC:3/4 SID:15802 PID:513/660 Polish- Conax). N: New frequency for Discovery Channel Polska: 11508.00MHz, pol.V (DVB-S SR:27500 FEC:3/4 SID:15809 PID:520/730 Polish- Conax). N: New frequency for Discovery Channel Polska: 10834.00MHz, pol.V (DVB-S2 SR:27500 FEC:2/3 SID:3505 PID:516[MPEG-4]/616 Polish- Conax). Discovery Channel Polska switched to DVB-S2 at 12647.00MHz, pol.V SR:27500 FEC:2/3 PID:516[MPEG-4]/616 Polish. N: New frequency for Discovery Channel Polska: 11785.00MHz, pol.H (DVB-S2 SR:27500 FEC:2/3 SID:3505 PID:516[MPEG-4]/616 Polish- Conax). N: New frequency for Discovery Channel Polska: 11785.00MHz, pol.H (DVB-S SR:27500 FEC:3/4 SID:3505 PID:501[MPEG-4]/502 Polish- Conax). Cyfra + & Cyfrowy Polsat: Discovery Channel Polska is now encrypted in Mediaguard 2 & Nagravision 2 & Nagravision 3 (12188.00MHz, pol.V SR:27500 FEC:3/4 SID:7315 PID:341/342 Polish). Cyfra +: New frequency for Discovery Channel Polska: 11487.77MHz, pol.H (DVB-S SR:27500 FEC:3/4 SID:5123 PID:362/388 Polish,389 English- Mediaguard 2). Discovery Channel Polska switched to Astra 4A satellite at 12226.00MHz, pol.H (DVB-S , 12226.00MHz, pol.H SR:25540 FEC:7/8 PID:1760/1720 English,1722 Polish). N: New SR for Discovery Channel Polska on 12652.00MHz, pol.V: SR:28000 ( FEC:5/6 SID:15205 PID:516[MPEG-4]/616 Polish - Conax). N: A new channel has started in DVB-S Conax: Discovery Channel Polska (Poland) on 12652.00MHz, pol.V SR:18100 FEC:3/4 SID:15205 PID:516[MPEG-4]/616 Polish. Discovery Channel Polska (Poland) broadcasts in DVB-S Conax on 11727.00MHz, pol.V SR:27500 FEC:3/4 SID:13775 PID:3051[MPEG-4]/3052 Polish. Cyfrowy Polsat: A new channel has started in DVB-S Nagravision 2: Discovery Channel Polska (Poland) on 12188.00MHz, pol.V SR:27500 FEC:3/4 SID:7315 PID:341/342 Polish. New frequency for Discovery Channel Polska: 11449.00MHz, pol.H (DVB-S2 SR:27500 FEC:2/3 SID:15003 PID:514/714 English Polish- Conax). Cyfra +: New frequency for Discovery Channel Polska: 11278.36MHz, pol.V (DVB-S SR:27500 FEC:3/4 SID:13013 PID:172/124 Polish,125 English- Mediaguard 2). Cyfrowy Polsat: Discovery Channel Polska is back on 12322.00MHz, pol.H SR:27500 FEC:3/4 SID:7315 after a break ( PID:341/342 Polish - Nagravision 2). Cyfrowy Polsat: New frequency for Discovery Channel Polska: 12188.00MHz, pol.V (DVB-S SR:27500 FEC:3/4 SID:7315 PID:341/342 Polish- Nagravision 2). Cyfra +: Discovery Channel Polska is now encrypted in Mediaguard 2 (10719.00MHz, pol.V SR:27500 FEC:3/4 SID:4402 PID:161/84 Polish). Cyfra +: Discovery Channel Polska (Poland) is now transmitted Free To Air (10719.00MHz, pol.V SR:27500 FEC:3/4 SID:4402 PID:161/84 Polish). Cyfra +: Discovery Channel Polska is now encrypted in Mediaguard 2 & Cryptoworks (10719.00MHz, pol.V SR:27500 FEC:3/4 SID:4402 PID:161/84).